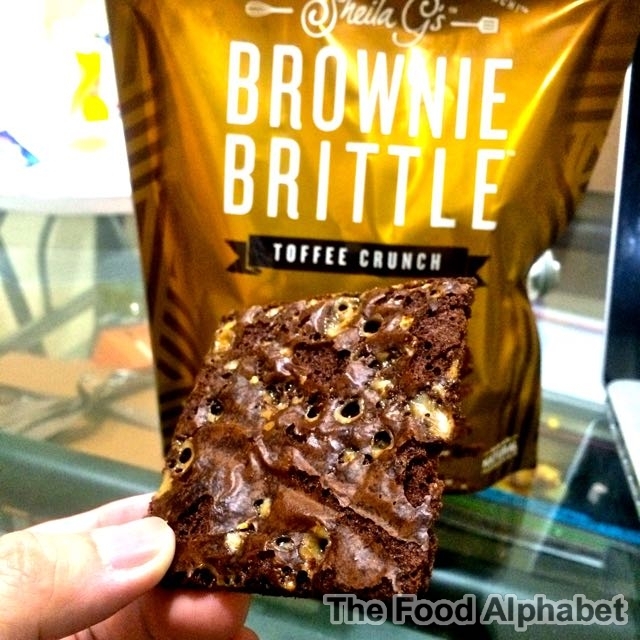 The Food Alphabet and More: Sheila G's Brownie Brittle is here iin the Philippines! 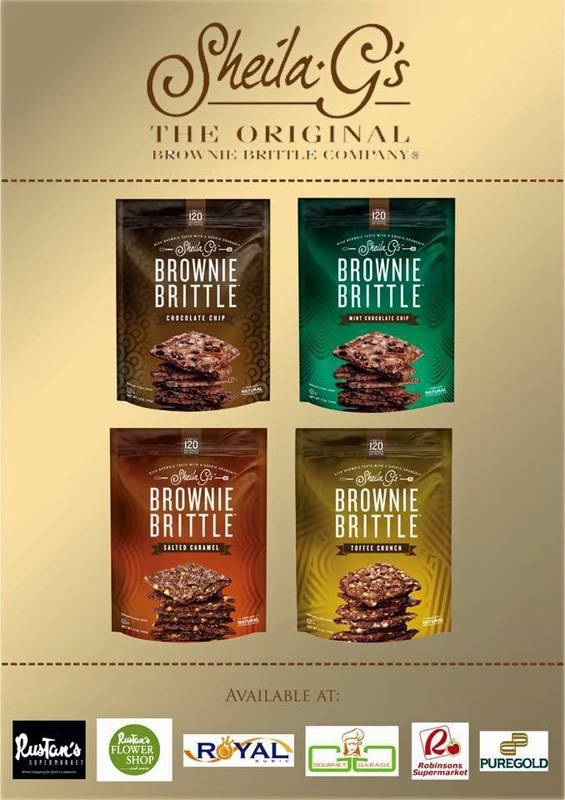 Sheila G's Brownie Brittle is here iin the Philippines! Sheila G's Brownie Brittle.. great brownie crunch without the guilt! 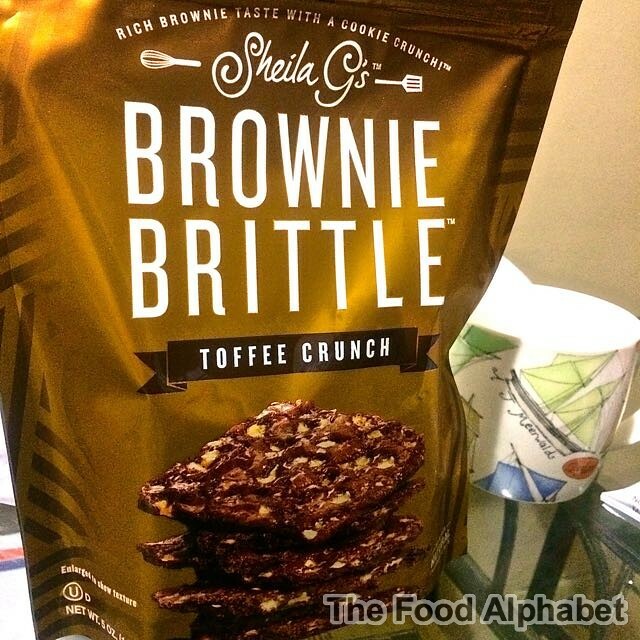 Have a bite of heaven with Sheila G's Brownie Brittle! And they are now here in Manila. I'm guilty, yup I tried to hold on to it but I just can't, much as I would love to share the good news to all of you, part of me is telling myself, "Keep it to yourself" haha selfish me! Yeah, I know I'm bad, but can you blame me? I have been enjoing loads of crisp brownie crunch goodies without feeling the guilt! Yes, you can get to enjoy bites and bites of Sheila G's Brownie Brittle for only 120 calories per serving of around 3 - 4 crisps, now isn't that a blessing. I first stumbled upon Sheila G's when I was in HK doing some grocery shopping to bring to family and friends in Manila, it was so amazingly good that I actually bought 5 bags and kept it all to myself, haha, as I thought I was sharing it to family, I ended up enjoying every bag of it. The sound of every crisp and lusciousness of the rich flavor brownie brittle you bite on give you that happy feeling, and the endorphins keep coming. It was indeed heaven in a bite, but more happy that I only get a few calories while enjoying Sheila G's! I'm just so glad that finally some good friends of ours brought them in and they are now available at your favorite supermarkets and groceries, for only P135.00, trust me it's money well spent. Sheila G's Brownie Brittle available in Toffee Crunch, Chocolate Chip, Salted Caramel and Mint Chocolate Chip flavors. Don't resist! Get one now. Is this available in SM Supermarket?